S is for Saguaro - 2013-112, originally uploaded by Judi FitzPatrick Studio. The flower blossoms are there but not yet opened; should be soon. Is that fella deformed or is that the usual for that sort of cactus? Does he need cacti viagra? Jim, Thanks for stopping by. 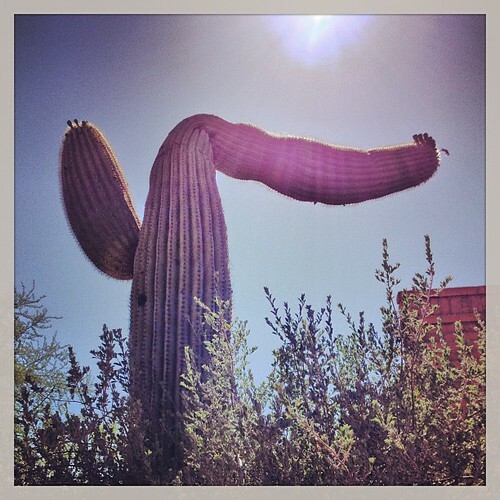 Sometimes saguaro have an injury or just grow oddly and may bend and twist. That is what is happening here, I believe.